Look what the man in brown shorts brought me! I have a brand new ORANGE harness! Glogirly got it for me on account of her mom used to tell her, "Always match your handbag to your shoes." I LOVE bags, but I'm a little worried about wearing SHOES. I bet the same applies to harnesses and Waffle Wagons! Oooooh! The Ladies at the nursing home are really going to SWOON! I am swooning! You look so handsome in your new harness. Ginger, ginger and more ginger. You are handsome without the accessories. But you can never have too much of ginger. My Mommy is swooning already! Gee Waffles - now you need a blue WaffleWagon. I'm swooning too! Waffles, you are gorgeous (do you mind being called gorgeous?) in your new orange harness. How could they not swoon? Waffles, my friend. You and I are twins separated at birth...I have a Puppia harness too! Mine is blue. I've had a few over the years. Best. Harness. Ever! I think we should hang out sometime. You bring the Waffle Wagon and I'll bring some Kipper Snacks and an endless supply of red dots to chase. We'll paint the town ginger! Waffles, you are so adorable!! 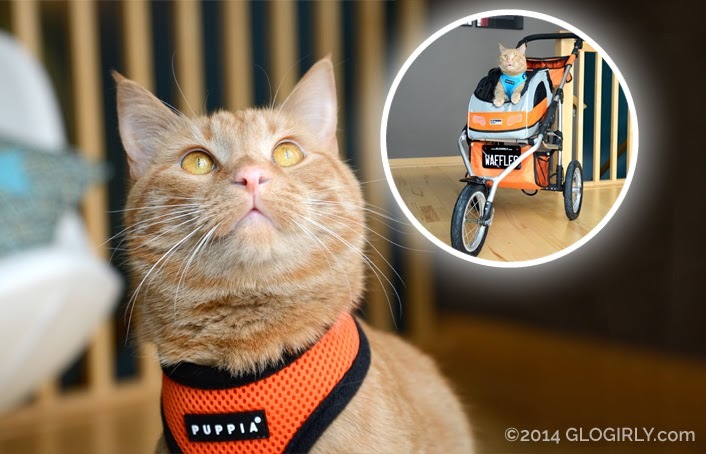 Waffles, my human really, really hopes she never has to go to a nursing home, but if she ever does, she wishes that a kitty that looks just like you (with matching harness and stroller) will come visit! Our mommy is swooning all over the place!!! You're soooooooo handsome!!! You are rockin' that orange, Waffles! So handsome! Waffles will be a ray of sunshine at the nursing home. You have got my mum swooning too Waffles. Waffles, you're just a fashion plate & heart-breaker, you know that? Waffles you handsome kitty you! You look great whether you match or not! Love it! I know that I am swooning for sure! 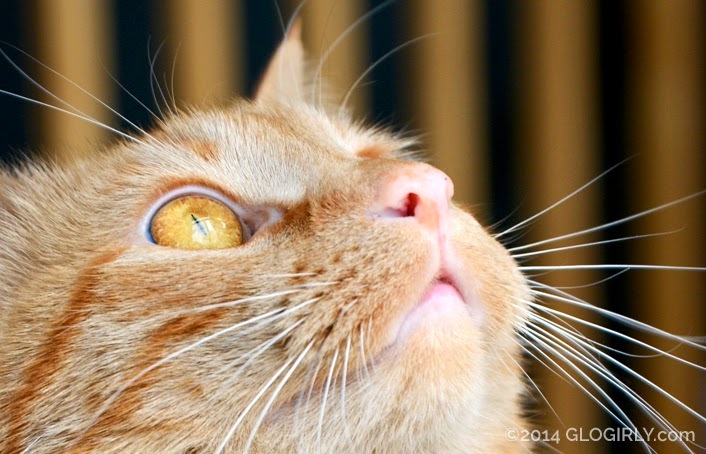 Waffles orange is just so so YOU! Love that shade of orange! :) Can't wait to see you matching with your wagon! Yes, you should be color coordinated with your Waffles Wagon! I like the new harness! 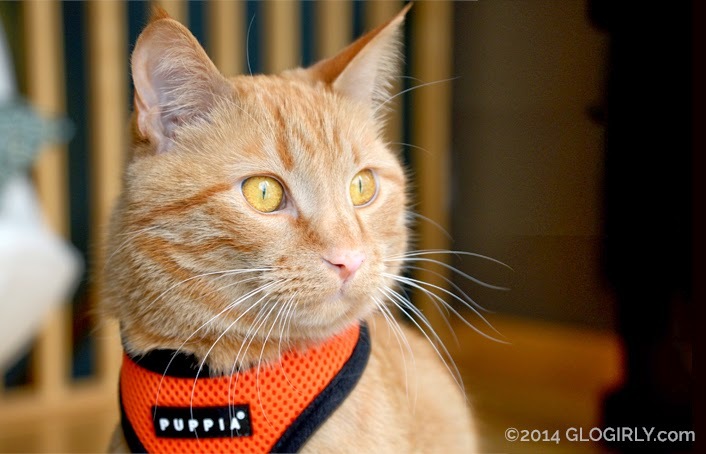 Orange is definitely your color, Waffles :) Having matching accessories is very fashionable. They will be swooning for sure. Your looking so handsome Waffles. You look super handsome, Waffles. Orange is your color. I have a rockin' orange collar myself. Definitely will be swooning, because you are one handsome and sweet boy (no matter what the Boss says). And yes, orange is your color...really is! You are too handsome for words Waffles.... Orange really is your colour!! Amber asked if you have a girlfriend, and to tell you she's orange too so she'll match you, your harness and your wheels. That is definitely a good color on you, Waffles! Such a handsome boy! You so rock that new harness!!! I was thinking you got a new one so you could come to Blogpaws in Vegas!!! Gotta be matched Waff. That’s the way things are. BTW, why does that say Puppia? Have you become a puppy? Anyway, that new harness is gonna look so much better. Waffles, you are just too cute!!!! I could eat you up! I love your new harness! Orange is such a great colour. You will be a star with the people you visit! Hugs and kisses! And to Katie too! She needs something colourful too to go with her beautiful tuxedo! We all know that orange is the new black. You are being too cute AGAIN (my cats are rolling their eyes).